When it comes to business communications services, we have it covered. We can provide virtually any product or service imaginable to communicate with your clients, potential clients, members, employees, stockholders, or vendors. We also provide many products you need for your business: paper, toner, office supplies, advertising specialty items. Our years of experience has made us experts at giving you what you need when you need it. To learn more about the many products and services we offer, please contact one of our representatives. Advertising Specialties Specialty advertising pieces such as pens, mail openers, keychains, or calendars are an effective, affordable way to get your name out. We have many give-a-ways, awards and gifts for you to choose from and we are here to help you make the right choice at the right price. We are proud to be a member of ASI. Bags and Boxes We offer all sizes and types of bags and boxes. Packaging We offer all types of packaging and we can even put the packages together. We offer storage and fulifillment. 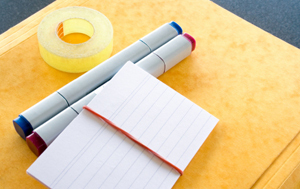 Office Supplies We offer competitive prices, quality products and of course you get our excellent service. Give us a try, you will find our Office Supply website extremely easy to use. Give us a call at 703-647-5055 to get your used id and password.